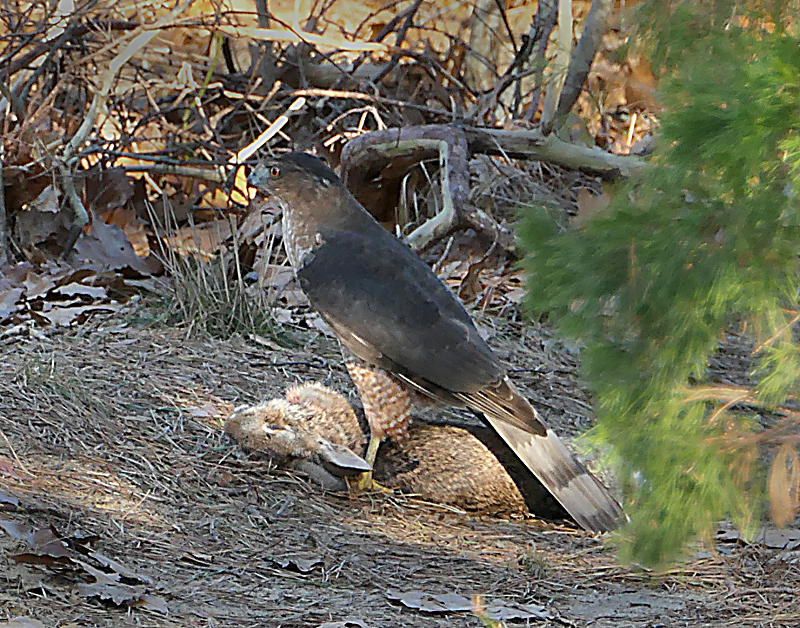 Cooper’s Hawk Just Caught A Bunny At The Wellfleet Audubon On Cape Cod! 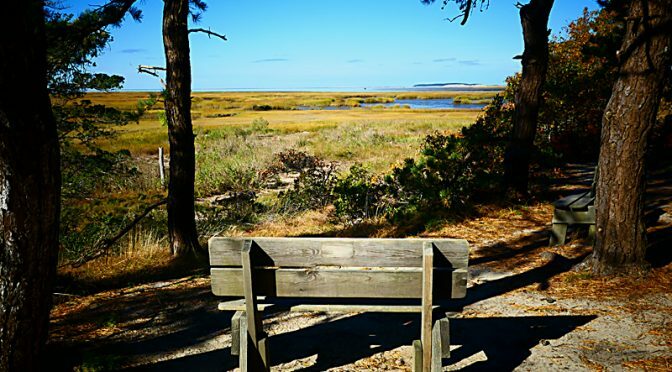 Phil and I were taking a hike at the Wellfleet Bay Wildlife Sanctuary a couple of days ago when I saw a hawk right on the trail. He had just caught something and was dragging it onto the trail. By the time I got my camera out, he had seen us and flew away. We waited a bit but he didn’t come down from the tree, so we walked by and saw a very large bunny on the trail. On the way back we noticed that the bunny was no longer where it had been. 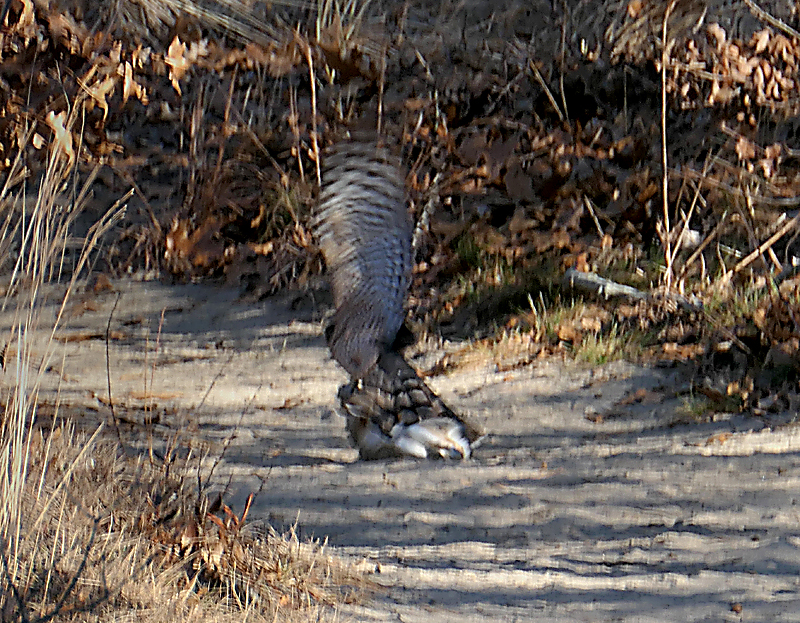 There was the hawk, dragging the bunny down the trail. He kept trying to get it up in the air but to no avail. He couldn’t lift it. 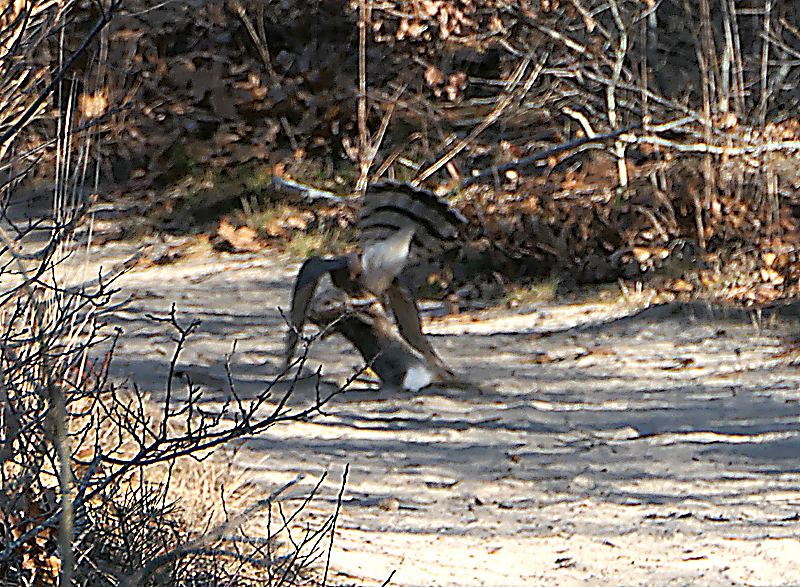 The hawk finally was able to drag the bunny off the trail into the woods. 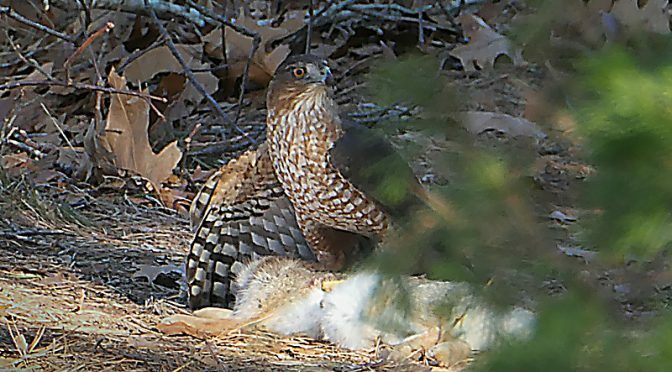 We were quite a ways away but we were able to get some really cool photographs of this beautiful Cooper’s Hawk protecting its prey. 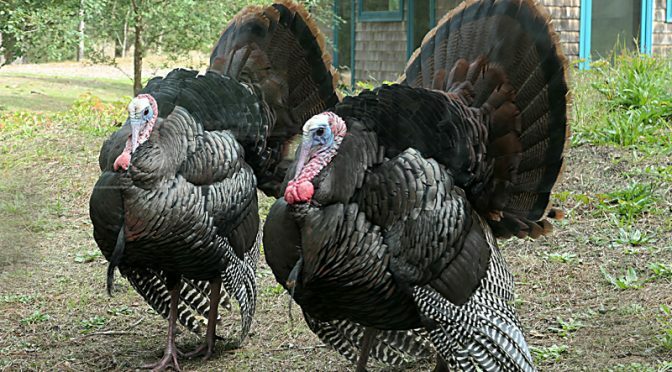 Wild Turkeys At The Wellfleet Bay Wildlife Sanctuary On Cape Cod! 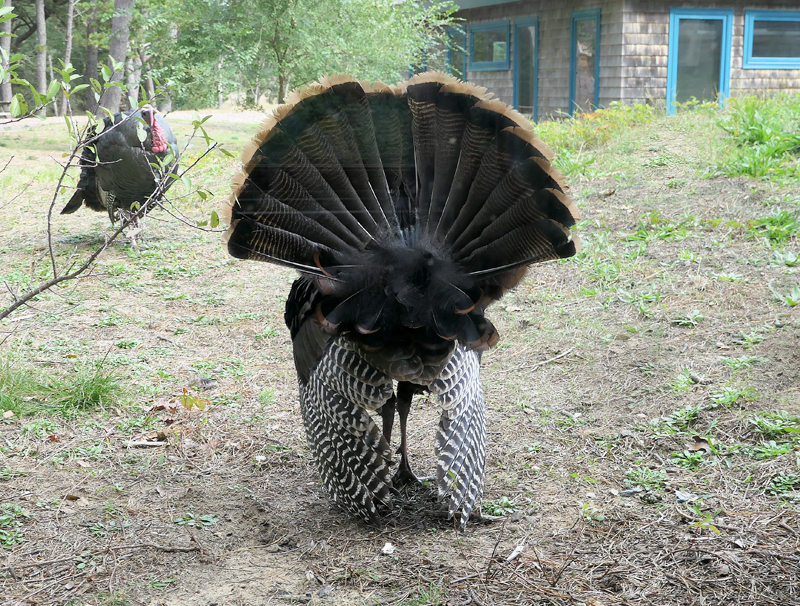 We were at the Wellfleet Wildlife Sanctuary a couple of weeks ago when I was looking out the window in the museum and there were some wild Turkeys. I thought that might be a nice Thanksgiving photograph. And then… they spread their feathers and turned around as if they were modeling. Ha! 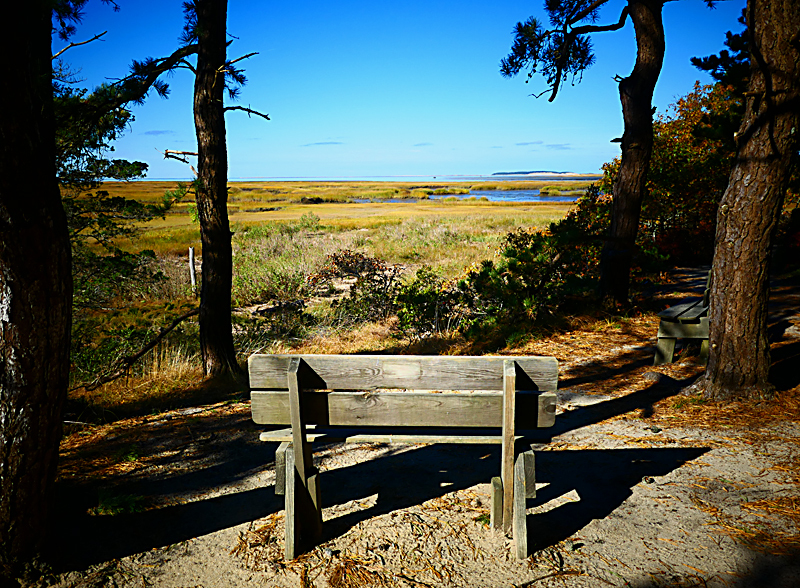 Relax At The Wellfleet Bay Wildlife Sanctuary On Cape Cod. 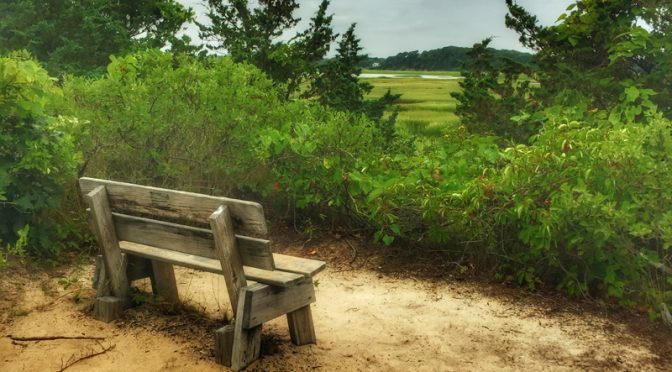 The trails at the Wellfleet Bay Wildlife Sanctuary have many benches along the way so you can relax and enjoy the spectacular views. This is one of my favorite benches along the Try Island Trail. You can see way out on the salt marsh. Pretty Pink Wildflower At The Wellfleet Bay Wildlife Sanctuary On Cape Cod. 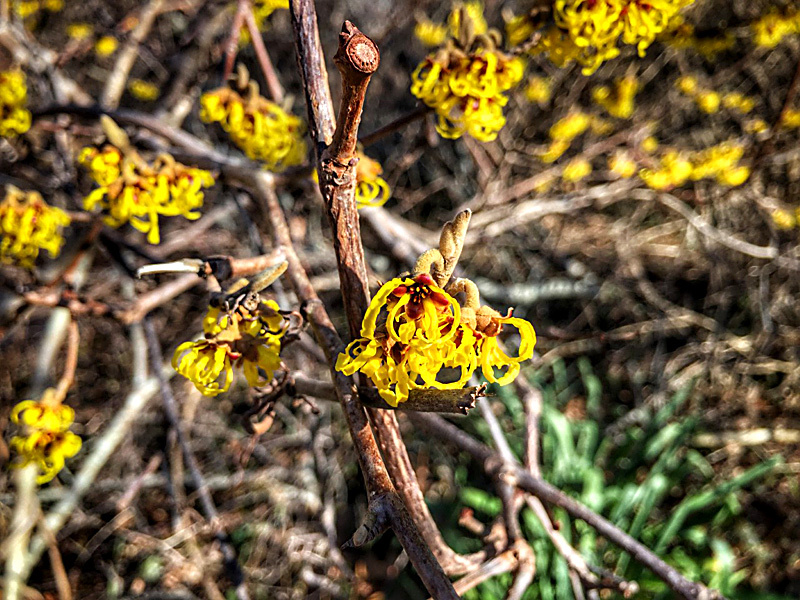 There are still a few wildflowers blooming on the trails on Cape Cod. 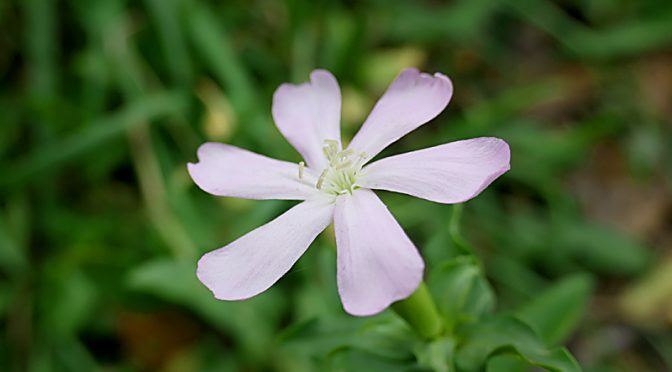 I saw this delicate pink wildflower while hiking on the Bayview Trail at the Wellfleet Bay Wildlife Sanctuary. I’ve looked and looked in my books and on the internet but can’t seem to identify it. 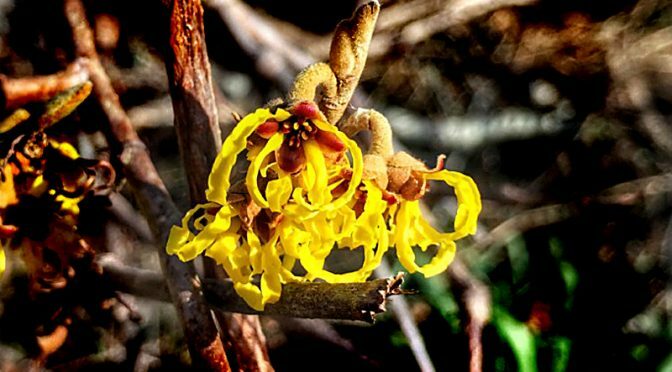 Does anyone know what kind of wildflower this is? So pretty and delicate, don’t you think?